18", 26 3/4", 41" & 63" x 42" engine; 2000 hp@ 75 rpm; built by Chicago Ship Building Co., Chicago, IL, 1900; 2 water-tube assisted draft boilers; 11'4 1/2" x 10'; 250# built by Babacock & Wilcox, New York, 1900. 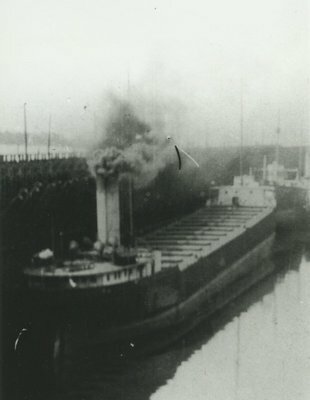 1900, Jul 27 Launched; homeport Duluth, MN. 1912 Collided with steamer JAMES GALEY. 1920 Same owners; reconstructed from hold beams to arches; tonnage reduced to 4472 gross/3411 net tons.